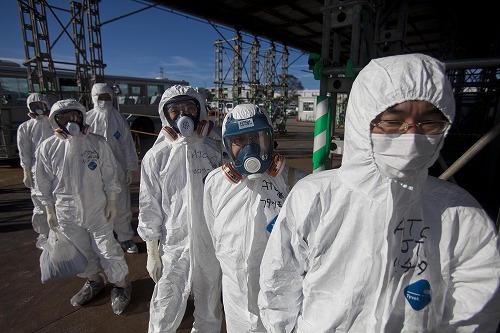 After 29 months of grave nuclear threat, all that matters now is for the world’s experts on radiation and decontamination to join forces and help fix the deadly poison streaming silently out of Fukushima. Because Japan’s political class has betrayed its people and lied to the world. The world’s nuclear industry, the agencies of the principal nuclear powers, the reactor manufacturers and their lobbyists and financiers must cease their talk and stand aside, for they have been dealers of slow death. Now it is time for every reactor in the world – every single last nightmare nuclear pile – to begin shutting down. This is a matter serious enough for the UN General Assembly to call an extraordinary and emergency session, and for the agenda to have two items only: (1) the immediate containment of the poison spewing out of the crippled reactors in Fukushima must be an international undertaking, (2) the safe, total and irrevocable decommissioning of all the world’s nuclear reactors must begin at once. 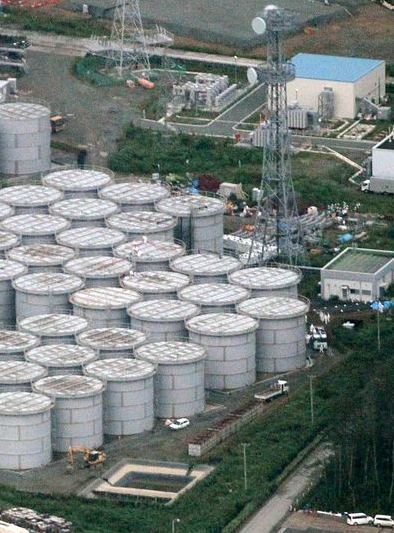 August 23, 2013 – More tanks at the stricken Fukushima No. 1 nuclear power plant site may have leaks as Tokyo Electric Power Company, the plant operator, said on August 22 that high radiation levels were detected near a second section of storage tanks. 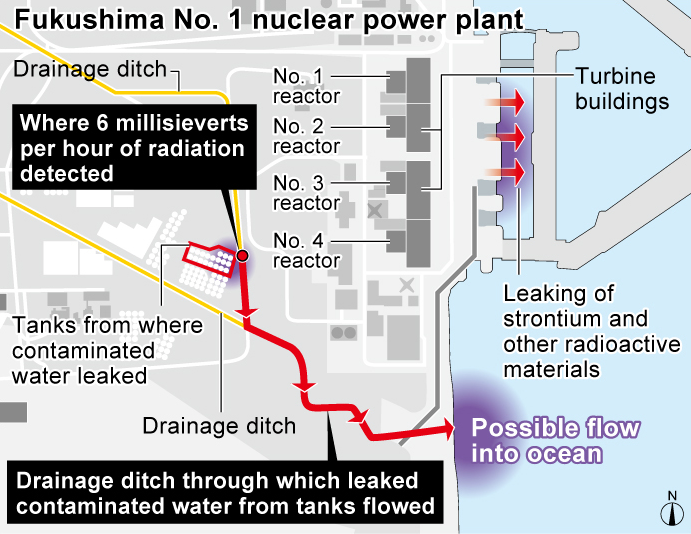 August 21, 2013 – Japan’s nuclear authority said on August 21 that a radioactive water leak at the stricken Fukushima nuclear plant represents a “serious incident” under an international scale, the latest blow in the struggle against contaminated water accumulating at the site. August 19, 2013 – The operator of Japan’s crippled Fukushima No. 1 nuclear power plant said on August 19 that two workers were found to be contaminated with radioactive particles, the second such incident in a week involving staff outside the site’s main operations centre. August 14, 2013 – The Nuclear Regulation Authority, Japan’s nuclear regulator, officially approved a plan that lays out ­in detail everything from the broad road map that Fukushima Daiichi operator Tokyo Electric Power Company is following to clean up and dismantle the crippled plant. Clean up and dismantle – but even the tiniest mistake during an operation to extract over 1,300 fuel rods at the crippled Fukushima nuclear power plant in Japan could lead to a series of cascading failures with an apocalyptic outcome, fallout researcher Christina Consolo told the news website RT. In the worst-case scenario, a mishandled rod may go critical, resulting in an above-ground meltdown releasing radioactive fallout with no way to stop it, said Consolo. But leaving the things as they are is not an option, because statistical risk of a similarly bad outcome increases every day, she said. Indeed, renowned theoretical physicist Michio Kaku stated in an interview a few weeks after the initial accident that “TEPCO is literally hanging on by their fingernails.” They still are, and always have been. As Safecast’s blog has explained in educative detail, it is unclear whether the Japanese government has a clear plan for decontaminating Fukushima Prefecture. The questions raised are worrying indeed: “Are the aims they’ve stated really feasible? Is anyone really able to keep track of the changing standards and guidelines?” And that is why the Asahi Shimbun published a series of reports about changes in government decontamination plans, such as ‘Government secretly backtracks on Fukushima decontamination goal’. This is a situation tailor-made for abuse, and in January 2013, the Asahi Shimbun published a series of exposes detailing sloppy work practices and fraud, titled ‘Crooked Cleanup’. According to a report from the Texas AgriLife Extension Service, wheat was selling at more than $8 a bushel at the beginning of the summer, compared with an average annual price of $5.25 last year. Still, Texas farmers will bring in only an estimated $274m this year; the average for the past five years was more than twice as high. Meteorologists say it is impossible to explain fully how these things happen. In 2010 the westward slopping of cooler water across the tropical Pacific, a phenomenon called La Niña, made itself felt on weather around the world. That La Niña is now over, according to scientists, but the patterns of atmospheric circulation that were associated with it are persisting, which could account for some of the drought. 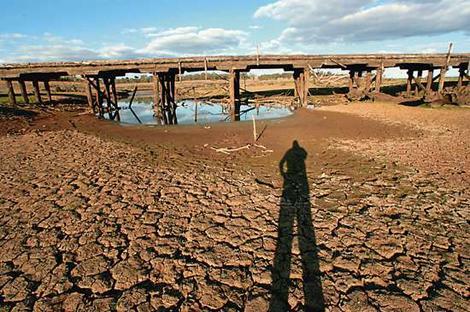 There is also the problem of man-made climate change, which is expected to intensify both droughts and floods. In recent years, the Colorado River has become less reliable, said the Scientific American. Since 1999, abnormally low precipitation totals and hot and dry conditions have brought reservoir water levels close to record lows. The multiyear drought, the most severe since documentation began more than 100 years ago, has put the water supply in the thirsty Southwest in jeopardy. This year, heavy snowpack and spring precipitation have brought the region some relief by partially refilling the reservoirs. But while National Oceanic and Atmospheric Administration research shows that snowmelt runoff into the upper basin hasn’t been this high since 1986, the southern end of the Colorado River continues to stop shy of the Sea of Cortez, where it used to run until the late 1990s. The paradox is that this season stands in such stark contrast to the past 11 years of drought, highlighting the types of variability that climate change can wreak on the hydrological cycle. The Bureau of Reclamation released the first of three interim reports last month as part of its broader Colorado River Basin Water Supply and Demand Study. The report is designed to provide an outlook on the next “highly uncertain” 50 years (until 2060) of the river’s life. Authors wrote that in the nearly quarter-million-square-mile Colorado River Basin, “climate change, record drought, population increases and environmental needs” are likely to make water supplies ever scarcer. NASA’s Earth Observatory has said that by July 2011, Texas and New Mexico had completed the driest six-month period on record. Average rain between January and June was more than eight inches (203 millimeters) below average in Texas and 3.5 inches (89 millimeters) below average in New Mexico. Record warm temperatures also persisted in Texas between April and June. The lack of rain and the warm temperatures added up to exceptional drought. This image shows the impact of drought on plants throughout Texas, New Mexico, and Oklahoma. 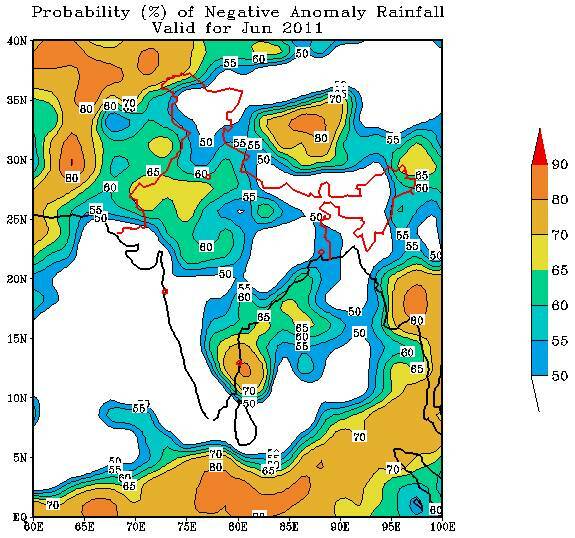 Made with data from the Moderate Resolution Imaging Spectroradiometer (MODIS) on the Terra satellite, the image compares plant growth between June 26 and July 11, 2011, with average conditions for the period. 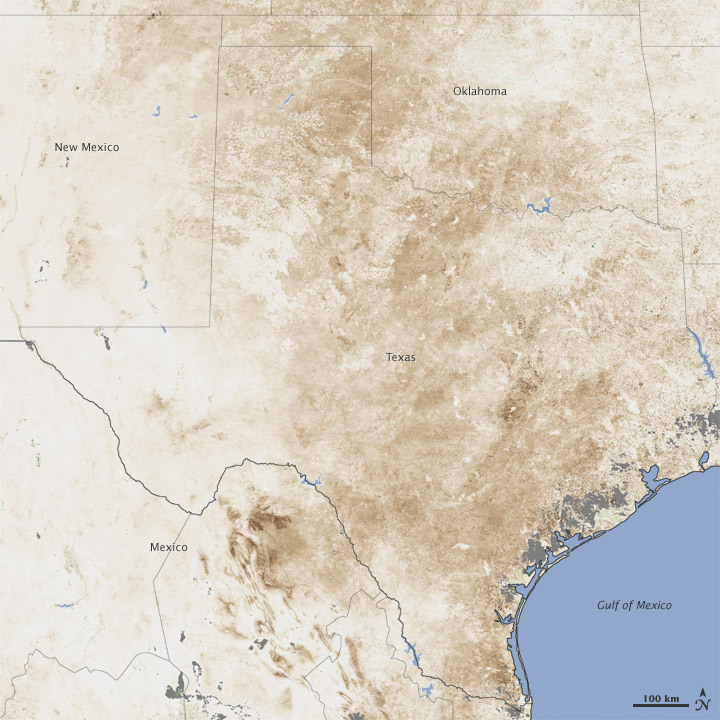 The image [left] is dominated by brown, showing that plants were growing less than average throughout Texas and New Mexico. The image supports an assessment by the U.S. Drought Monitor, which states that 94 percent of the range and pastureland in Texas was in poor or very poor condition in June 2011. In Oklahoma, 78 percent of range and pastureland was in poor condition. Though drought is not a disaster that strikes all at once, it is nonetheless a devastating event that can cause death, disease, and loss of money and property. 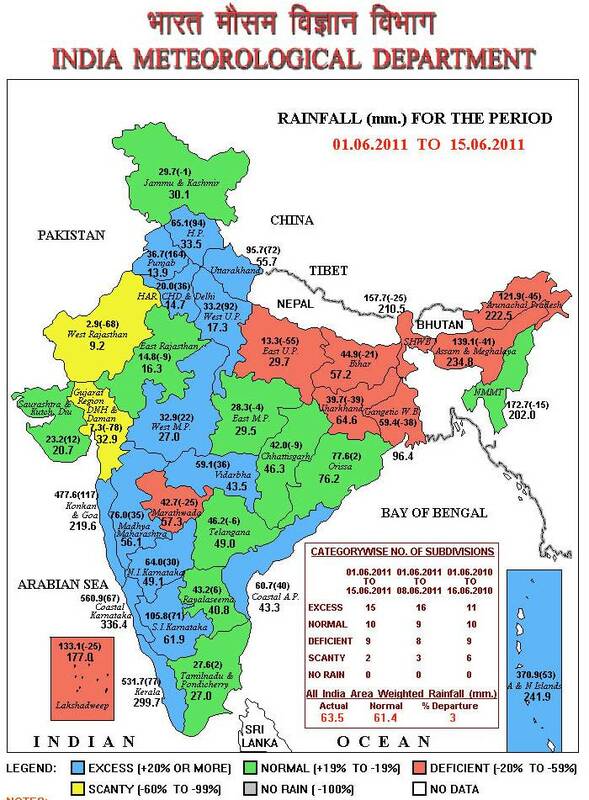 For these reasons, drought is termed the creeping disaster. So far farmers in Texas have lost 30 percent or more of their crops and pasture in 2011. The loss led the U.S. Department of Agriculture to declare a natural disaster in 213 Texas counties and additional counties in Arkansas, Louisiana, New Mexico, and Oklahoma. The declaration qualifies farmers in these regions for low-interest loans to cover their losses. 20110724 – This temperature chart by state explains the heat gripping southern and eastern USA. The heat wave enveloping the Eastern Seaboard brought punishing record temperatures to the Washington region Friday, sending scores of people to emergency rooms with heat-related illnesses and closing down outdoor events. The combination of heat and humidity produced a heat index in Washington of 121 degrees, the highest since July 1980. Unhealthy levels of heat and humidity are encompassing much of the eastern half of the US, according to NOAA’s National Weather Service, as a persistent heat wave continues its grip on the central US while expanding into the East. According to NOAA’s National Weather Service, approximately 132 million people in the United States are under a heat alert (Excessive Heat Warning or Watch or Heat Advisory) as of Friday morning. More than 4000 daily high temperature records were tied or broken in June, mostly east of the Rockies, and there were 159 reports of the record hottest temperature for June and 42 reports of all-time record hottest temperature ever. Drought intensified across parts of the Southwest to Southeast. While the southern Plains’ 1950s drought of record is unsurpassed in terms of duration, the current drought in parts of Texas is more intense than the 1950s drought when measured by the Palmer Hydrological Drought Index. While blanketing the southern U.S. with hot and dry weather, a upper level high pressure system effectively blocked any Gulf of Mexico moisture from feeding into the area. Meanwhile, the upper-level low pressure trough in the Northwest attributed to the cool, wet anomalies in the region. 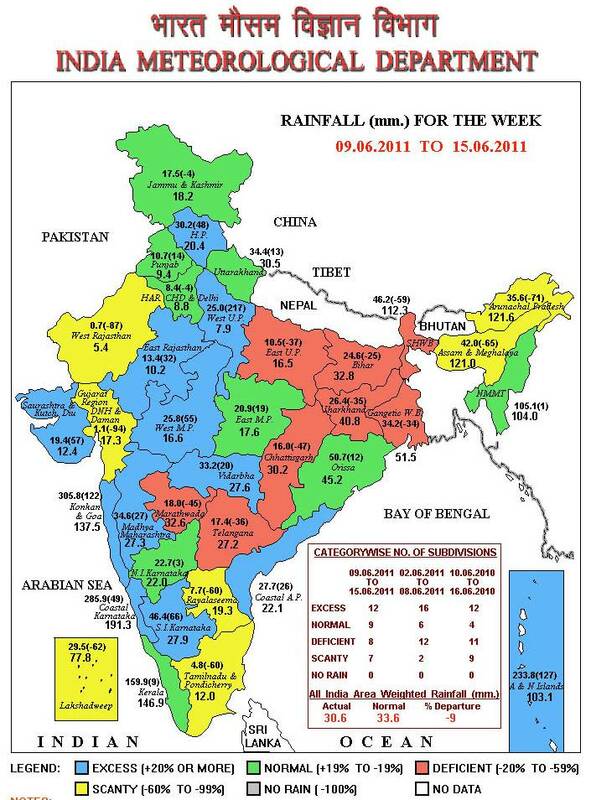 Right now, the Examiner has said, approximately 29 percent of the country is experiencing some level of drought. About 12 percent of the US is experiencing “exceptional drought”, which is the highest level of drought. 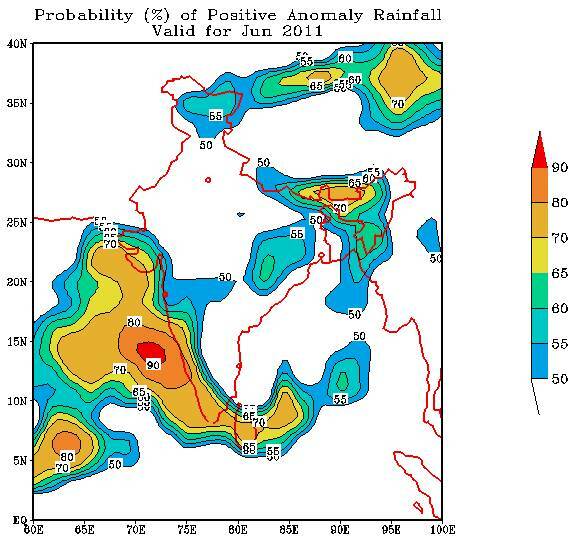 The combination of very little rain and scorching heat over much of the nation has been absolutely devastating. Many areas have been dealing with high temperatures in the 90s and the low triple digits for weeks. The US Drought Monitor has said that the drought conditions across the Southern Great Plains persisted, and worsened across most areas, with localized improvements due to isolated rain events. AHPS precipitation estimates in excess of 5 inches prompted the improvement across southeastern Texas while sparse rainfall just east of El Paso also allowed for minor improvement. The rest of the southern Great Plains experienced continued hot (2 – 8 degrees F above normal) and dry weather. Exception drought (D4) coverage was expanded in coverage across portions of Texas, including Erath, Hood, Somervell, Comanche, Jim Wells, and Duval counties. Additional expansion and intensification of the less severe drought conditions was included in the latest analysis across central Texas. Range and pastureland across Texas and Oklahoma continued to deteriorate. Across Texas, 94% of the range and pastureland was described as being in poor or very poor condition. This is a record weekly value, although measurement sof this kind only extend back to 1995. Across Oklahoma, 78% of the range and pastureland described as poor or very poor, tied for the fifth highest percentage (August 6, 2006). The rest of August 2006 saw statewide poor and very poor conditions expand to over 80% of all range and pasturelands. 08 February 2017: A month short of six years after the 11 March Fukushima disaster began unfolding, the situation at the nuclear power plant has entered a new phase of danger, one which modern industrial civilisation has no experience with and very little knowledge about. The highest radiation level at Fukushima is now much higher than the highest ever measured at Chernobyl, which was 300 sieverts per hour, an inconceivably high dose which can kill a person almost instantly. Radiation is usually measured in thousandths of a sievert, called millisieverts. For example, most people receive around 2.4 millisieverts per year from background radiation, or only 0.0002739726 per hour. But a radiation level of 530 sieverts per hour has just been measured at Fukushima’s number 2 reactor. This new record at Fukushima is 70% higher than that of Chernobyl. 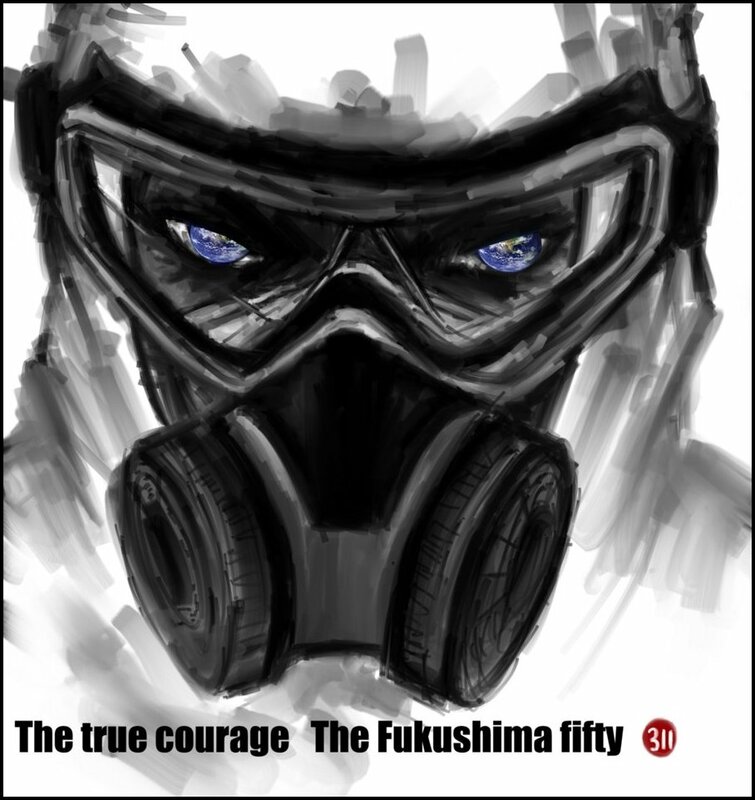 (The highest level previously measured at Fukushima was 73 sieverts per hour, in March 2012.) The leakage of highly radioactive water has been continuing every day, a daily flow of radioactively contaminated groundwater into the ocean. The estimates are of about 300,000 litres per day of relatively low-level radioactive waste water. But there are storage tanks with 800,000 tons of highly radioactive water, as every day about 100 tons of water are poured on the three melted down cores. 18 December 2011: You will find the Updates archive, info links, video clips and pictures on the Japan emergency page. 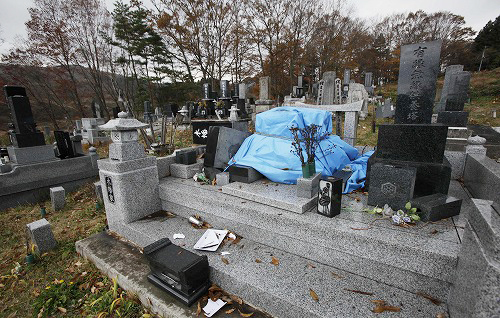 More than nine months have passed since the 11 March earthquake and tsunami that devastated northeastern Japan and triggered a still-unresolved disaster at the Fukushima No. 1 Nuclear Power Plant. This set of news reports, news features and editorial in the Mainichi Daily News reveals the chronic deception and criminal corporate irresponsibility that continue to hinder all meaningful effort to mitigate the meltdown, and to obstruct at all costs the truth. Mainichi Daily News has said that the government has declared a stable “cold shutdown” at the plant, representing a major milestone in its handling of the disaster. The public has keenly waited for the nuclear reactors to be brought under stable control, but Japan is still standing on thin ice and is miles away from a situation where it can really declare that the crisis is under control. In the meantime, rebuilding the lives of residents near the crippled plants has been an urgent critical challenge. On the occasion of its latest political declaration, the government needs to renew its resolve to settle the crisis and achieve regional recovery. The disaster-hit reactors are certainly now in a more stable condition. However, the phrase “cold shutdown” usually refers to suspension of a sound reactor. The fact that the government is attempting to apply this term in a severe accident in which three reactors have suffered core meltdowns should be called into question. The government should rather explain in detail the possibility of any additional explosions and whether a recriticality accident has been ruled out. Simulations suggest that nuclear fuel has melted inside the reactor containment vessels, eroding their concrete floors. Although Tokyo Electric Power Co. (TEPCO), the operator of the stricken nuclear plant, has indicated that melted fuel has also been cooled down by water, this is nothing but speculation. We urge the utility and the government to find a way to ascertain the precise condition of the fuel. Mainichi Daily News has reported that conditions at the Fukushima No. 1 nuclear plant are far worse than its operator or the government has admitted, according to freelance journalist Tomohiko Suzuki, who spent more than a month working undercover at the power station. “Absolutely no progress is being made” towards the final resolution of the crisis, Suzuki told reporters at a Foreign Correspondents’ Club of Japan news conference on Dec. 15. Suzuki, 55, worked for a Toshiba Corp. subsidiary as a general laborer there from July 13 to Aug. 22, documenting sloppy repair work, companies including plant operator Tokyo Electric Power Co. (TEPCO) playing fast and loose with their workers’ radiation doses, and a marked concern for appearances over the safety of employees or the public. 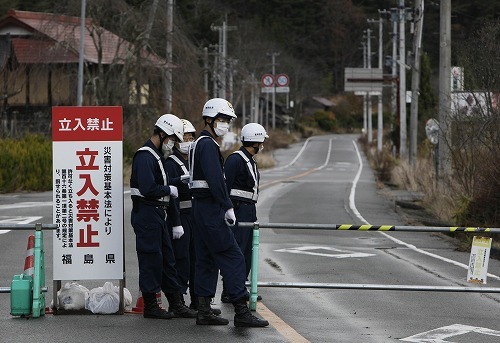 For example, the no-entry zones around the plant – the 20-kilometer radius exclusion zone and the extension covering most of the village of Iitate and other municipalities – have more to do with convenience that actual safety, Suzuki says. The situation at the plant itself is no better, where he says much of the work is simply “for show,” fraught with corporate jealousies and secretiveness and “completely different” from the “all-Japan” cooperative effort being presented by the government. “Reactor makers Toshiba and Hitachi (brought in to help resolve the crisis) each have their own technology, and they don’t talk to each other. Toshiba doesn’t tell Hitachi what it’s doing, and Hitachi doesn’t tell Toshiba what it’s doing.” Meanwhile, despite there being no concrete data on the state of the reactor cores, claims by the government and TEPCO that the disaster is under control and that the reactors are on-schedule for a cold shutdown by the year’s end have promoted a breakneck work schedule, leading to shoddy repairs and habitual disregard for worker safety, he said. “Working at Fukushima is equivalent to being given an order to die,” Suzuki quoted one nuclear-related company source as saying. Kenichi Oshima is currently a professor at Ritsumeikan University. After long years of nuclear power research, he had learned that the actual cost of maintaining nuclear power in Japan was twice as high as what government and electric power companies had publicly announced, the Mainichi Daily News has reported. In March 2010, published his findings in a book, but found himself under fire at a time when pro-nuclear energy was becoming even stronger. In September the same year, during a meeting of the Japan Atomic Energy Commission, his comments were rejected and even mocked. “Do you call this research?” he was told and few even cared to look at his findings. Following the nuclear disaster at the Fukushima No. 1 power plant, triggered by the March 11 earthquake and tsunami, Oshima’s situation drastically changed. He was selected as a member of two expert governmental committees to serve as a critical analyst of Japan’s current nuclear power stance. The group will openly release all internal debates and documents, Oshima says. He is now more optimistic than ever that the time to destroy the “cheap and safe” nuclear power myth will eventually come. A sober and critical editorial in the Mainichi Daily News has said that Britain has already abandoned developing fast-breeder nuclear reactors, and is set to give up nuclear fuel reprocessing as well. Moreover, its planned construction of a facility to dispose of radioactive waste including plutonium is likely to materialize even though it is still at a planning phase. In contrast, there are no prospects that Japan can build a disposal facility. 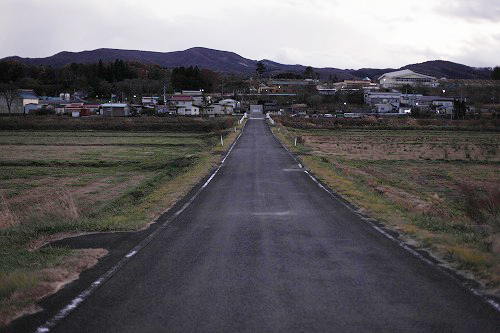 However, for Japan to call for operations at the Monju prototype fast-breeder nuclear reactor in Fukui Prefecture and the nuclear fuel reprocessing plant in the Aomori Prefecture village of Rokkasho to be carried out as planned, would be like putting the cart before the horse as it appears the country is incapable of building a disposal facility. Plutonium is directly related to security issues. The U.K. possesses nuclear weapons but Japan does not. One may wonder whether Japan’s independence will be threatened if it abandons nuclear fuel recycling and loses its ability to produce plutonium. Even though it is an important point of contention the issue should not be used as a reason to underestimate the harm of plutonium. Economy, Trade and Industry Minister Yukio Edano who is in charge of energy policy, Goshi Hosono, state minister for handling the nuclear crisis, and Yoshito Sengoku, second-in-command in the ruling Democratic Party of Japan’s Policy Research Committee, have been hearing the views of experts on the issue. It is not enough for the government to talk only about the dream of “prosperity” built on dependence on nuclear power. Japan’s ability to overcome the mess that follows such prosperity is now being tested. More updates, info links, video clips and pictures on the Japan emergency page. New estimates by the US Geological Survey suggest that the earthquake that struck Japan on 2011 March 11 was magnitude 9.0. Grpahic from New Scientist. The Mainichi Daily News has reported that the strongest recorded earthquake to hit Japan rocked the northeastern coast Friday, triggering a series of tsunami including a 10-meter wall of water that submerged residential areas and farms with muddy streams and washed away scores of people, vehicles, boats and a storage tank on fields and ports in northeastern Japan. The New Scientist noted that the Japanese earthquake has triggered a series of tsunami waves that are now moving east across the Pacific. How will the countries they hit be affected? The shape of each landmass is a major factor determining how the tsunami behaves. Tsunamis are most dangerous when they run over a large area of shallow water. This causes the first wavefront to slow down, so successive waves pile up to form one tremendous wave. As a result small Pacific islands, especially ones that lie in otherwise deep water, should be largely unaffected. Wave height here might reach 30 centimetres at most. “A little atoll presents a pencil in the water, and the wave just goes right past,” says Robert Cessaro, a senior geophysicist at the Pacific Tsunami Warning Center (PTWC) in Hawaii. Because most of the islands in the tsunami’s path are fairly small, they should see waves 10 to 30 centimetres high at most. 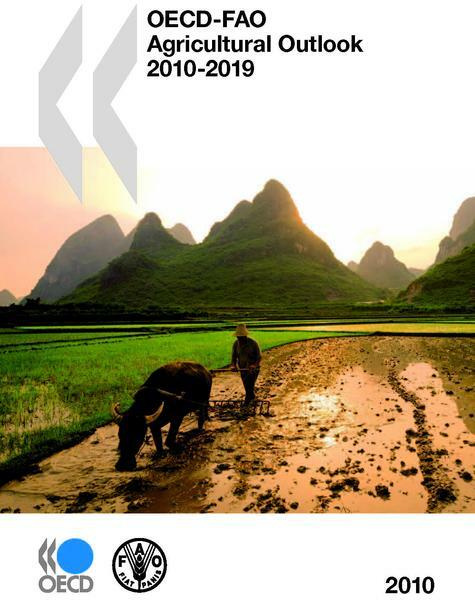 The OECD-FAO Agricultural Outlook 2010-2019 has just been released. A major joint document, this follows the regular, roughly ten-year wide focus series followed by both organisations on global agriculture. The new release has sections on food price volatility and the impact of commodity markets, and so will be of interest to the research and practitioner community looking at the finance-food-policy interfaces. The Outlook says that demand for cereals for food and feed is projected to rise by one-third to 3 billion tons by 2050, and possibly higher due to a growing liquid biofuel market. Net cereal imports into the developing countries would increase almost three-fold to nearly 300 million tons by 2050, some 14% of their total cereal consumption. Demand for more income-responsive vegetable oils, meats and dairy products are expected to rise even faster. Livestock is one of the fastest growing sub-sectors in agriculture with over 80% of the projected growth in the next decade taking place in developing countries, particularly in Asia and the Pacific (especially China) and Latin America, outpacing growth in the OECD area by a factor of 2:1 over the next decade. To support the necessary expansion in output in developing countries, FAO estimates the required average annual investment in primary agriculture and necessary downstream services (e.g. storage, processing) at USD 209 billion in 2009 prices (or USD 83 billion net of depreciation), much of which would come from private sources. Still, this amount represents a 50% increase from current levels and does not include the public investments required in such areas as roads, irrigation, electricity and education. In general since the 1970s, those countries with higher net investment per agricultural worker have been more successful at reducing hunger. 1. Average crop prices over the next ten years for the commodities covered in this Outlook are projected to be above the levels of the decade prior to the 2007/08 peaks, in both nominal and real terms (adjusted for inflation). Average wheat and coarse grain prices are projected to be nearly 15-40% higher in real terms relative to 1997-2006, while for vegetable oils real prices are expected to be more than 40% higher. World sugar prices to 2019 will also be above the average of the previous decade but well below the 29-year highs experienced at the end of 2009. 2. 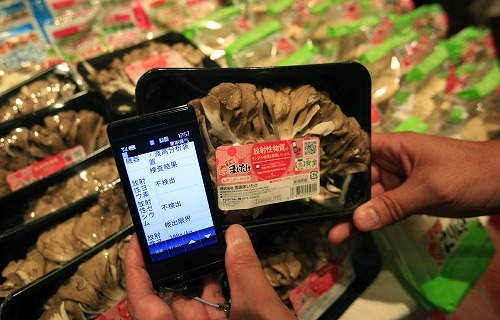 Developing countries will provide the main source of growth for world agricultural production, consumption and trade. Demand from developing countries is driven by rising per capita incomes and urbanisation, reinforced by population growth, which remains nearly twice that of the OECD area. As incomes rise, diets are expected to slowly diversify away from staple foods towards increased meats and processed foods that will favour livestock and dairy products. Also, with increasing affluence and an expanding middle class, food consumption in these countries should become less responsive to price and income changes, as is currently the case in OECD countries. This implies that larger changes in price and incomes will be required for consumption to adjust to any unforeseen shocks. 3. National and local emergency stockholding of key food security commodities, for food emergencies, particularly for low-income food importing countries, may increase confidence in the access to food in times of crisis and help stabilise local markets. Increased research, capacity building, and sharing of best practices to improve the functioning of emergency stock schemes are required. Whatever actions governments consider taking, it is always important to keep in mind the full set of policy measures, risks and possible responses for the targeted population.